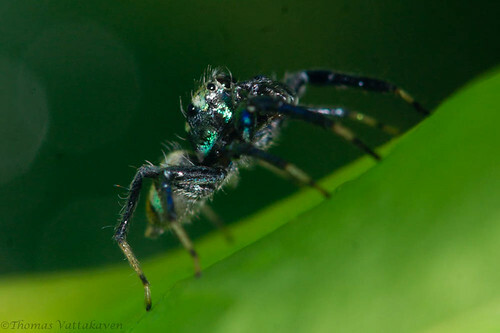 Metallic coloured jumping spiders are hard to photograph well. For some reason, it tends to confuse the camera’s metering. 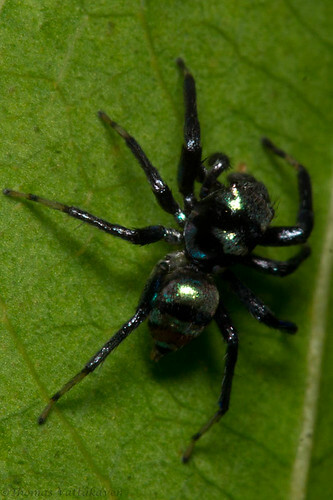 Moreover, the use of a flash results in a loss of the metallic hues on the spider. 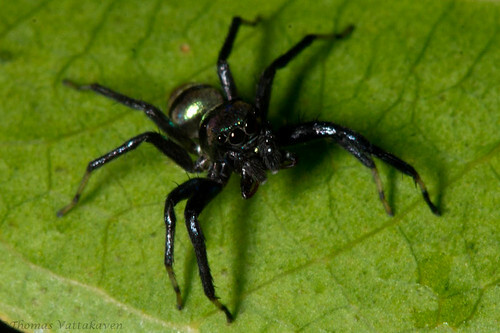 Anyhow, here`s some images of a metallic jumping spider. 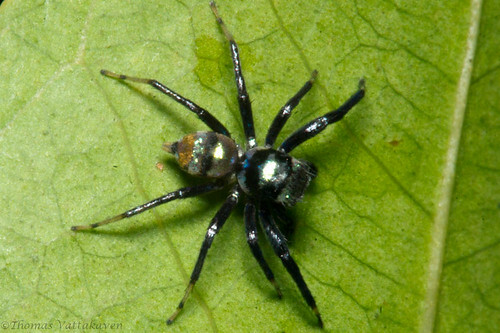 The metering is all over the place resulting in some ordinary images. 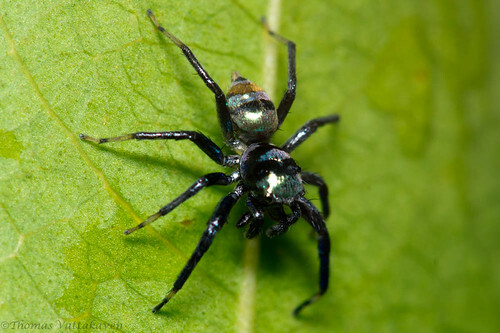 I`m hoping that someone can point me in the direction of a spider expert to identify the vast variety of spiders that lurk around here.